If poor function is getting you down, we can help! The use of Pre-fabricated or Casted orthotics is to assist with foot pain. After a Biomechanical-Gait analysis of your foot function, orthotics may be issued to control your foot function. Conditions that orthotics are beneficial with are in the treatment of Heel pain, Metatarsal pain, Bunion development, Arch pain, Morton's Neuroma, Severs disease just to name a few. Footwear advice and foot strengthening exercises also play an important part in treatment of foot pain. Replacement or repeat pre-fabricated orthotics can be purchased at reception, provided you are happy with your existing orthotics. Plantar Fasciitis is the most common cause of heel pain, where the plantar ligament that extends from the heel to the toes incorporating the Achilles tendon, is strained and becomes inflamed. A biomechanical / gait assessment is carried out to assess your foot function. Depending on the results, we offer footwear advice, exercises, strapping, foot-rolling and orthotics if necessary to correct foot function. 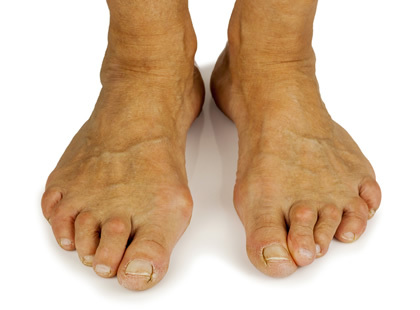 Bunion is a deformity of the 1st Metarsophangeal joint where the 1st ray deviates. This can occur due to the hyper mobility of the 1st ray and whole foot, typically an overpronated foot at the Sub Taylor Joint. This condition can be either painful or painless and orthotics can help control the foot function by slowing down the development of the bunion and support the foot alignment. Footwear advice is important and strapping also helpful when painful. Morton's Neuroma is an inflammation of the plantar nerve typically between 2-3 & 3-4 Metatarsophangeal ligaments causing a shooting pain or numbness into the digits. Treatment for this condition is biomechanical/gait assessment and issuing orthotics with a metatarsal pain. Footwear advice is essential for this condition to resolve. Typically the Hallux presents with restricted movement in the 1st Metatarsophangeal joint caused by degeneration of the joint. This results with pain, altered gait and foot function. Treatment includes strapping, footwear advice and orthotics to correct foot function allowing the foot to function pain free. Pes Planus presents itself with the loss of the medial arch, due to an injury, medical condition or posterior tibial tendon dysfunction, resulting in pain on weight-bearing. This is assessed by gait analysis and treatment is with the use of orthotics and footwear advice. Referral to an Orthopaedic surgeon may be necessary where pain is not resolved with the use of orthotics. Note: Additional charges may apply for products and/or materials. Fees are subject to change. We accept cash, Visa, Mastercard, and payWave. * If return visit within 4 months of previous treatment. 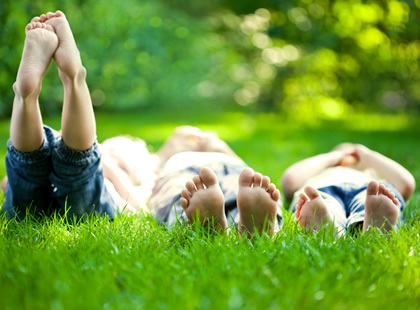 No matter what your age or lifestyle, healthy & happy feet are an important part of your overall good health. Click the carousel buttons below to wiew other services. I first heard of Complete Feet Podiatry when I experienced an ingrown toenail, and I now go every two months for feet/nail maintenance. Fiona is always friendly and her practice is spotless. If you have foot problems, I certainly recommend this is the place to go. I've experienced rubbing corns on my feet for several months, which I started dreading putting my shoes on each day! I finally did something about it ... thanks to Complete Feet Podiatry. I've lived with flat feet all my life and never realised that there was a fairly easy solution. I have finally found comfortable footwear that accommodate my orthotics! Thank you Fiona. Our mission is to alleviate your painful foot condition and provide professional treatment for the problem, which may include footwear advice, prescribing orthotics, or general foot health-care advice. We believe that treating the person as a whole is paramount in maintaining improved foot health. Good communication and respecting your beliefs and values is very important to us. Thank you for your extraordinary service! You helped me to heal my unsightly and embarrassing feet! I am glad that I finally visited Fiona at Complete Feet Podiatry and sorted my painful feet out!